Almost 750,000 licensed vocational nurses (LVNs) and licensed practical nurses (LPNs) work in the United States. The duties and educational requirements are the exact same for both roles; “LVN” is simply the preferred title in the states of Texas and California. Texas employs 72,000 LVNs, while more than 60,000 LVNs practice in California. These are the two largest populations of LVNs / LPNs in the entire country. Vocational nurses work primarily at nursing care facilities and hospitals. Other common work environments include physicians’ offices, home healthcare services, and residential care facilities. LVNs perform a range of duties in these environments. They monitor patient health, maintain patient records, help patients bathe and dress, change bandages, insert catheters, discuss care, listen to patient concerns, and communicate with family members. 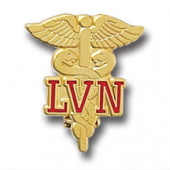 Some LVNs specialize in a specific area such as oncology or gerontology. These LVNs perform all of the above functions as well as duties specific to their specialty area. While compassion, patience, interpersonal skills, and physical stamina are all critical LVN traits, these professionals must also possess technical and medical skills to carry out their duties. Aspiring LVNs can master these skills by completing a state-approved LVN degree or certificate program. Upon program completion, graduates must successfully pass the National Council Licensure Examination for Practical Nursing (NCLEX-PN) to gain state licensure. Licensed LVNs are eligible to work a broad range of healthcare settings including psychiatric and substance abuse hospitals, junior colleges, and insurance providers. Texas LVNs earn a median annual salary of $43,000 per year, and the state’s top performers earn $50,000 or more annually. The pay is even higher in California, where LVNs earn $52,000 per year on average with top-quartile pay in excess of $60,000. Vocational nurses with professional certifications in specialty areas like IV therapy, oncology, neonatal care, and gerontology can earn substantially more. In addition, LVNs employed at junior colleges or in insurance-related activities typically earn the highest salaries in the field. While flexibility and competitive pay are major benefits of the LVN role, so too is job stability. The Bureau of Labor Statistics expects LVN employment growth of 25 percent over the coming decade, much faster growth than the overall job market. This could translate into 18,000 new LVN jobs in Texas and 15,000 new LVN jobs in California over the next ten years. A rewarding career as a licensed vocational nurse begins with a high-quality degree or certificate program. Browse our directory to find the best LVN programs in your local area.